DNA appreciation | What About Victoria? It is second-nature to use one’s own country as a point of reference when evaluating another. 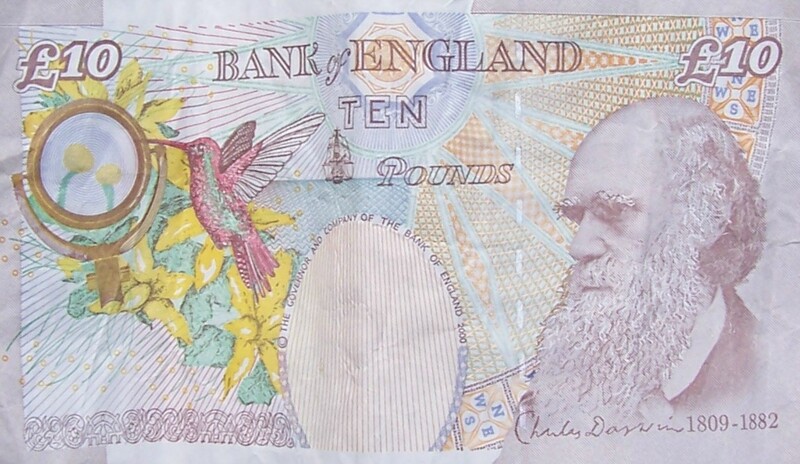 In a previous post, I wrote about the £10 note featuring Charles Darwin on the backside. 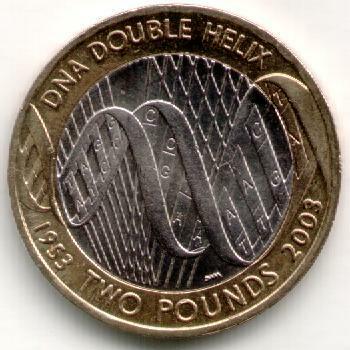 Another most interesting piece of currency I have noticed is the 2003 £2 coin, which commemorates the fiftieth anniversary of Watson and Crick’s discovery of the structure of DNA (or, as the edge of the coin puts it, DEOXYRIBONUCLEIC ACID). Watson is American (and Crick was British), but, somehow, I can’t imagine DNA making it onto a coin in the US. I love this design. You can even see the nucleotides!